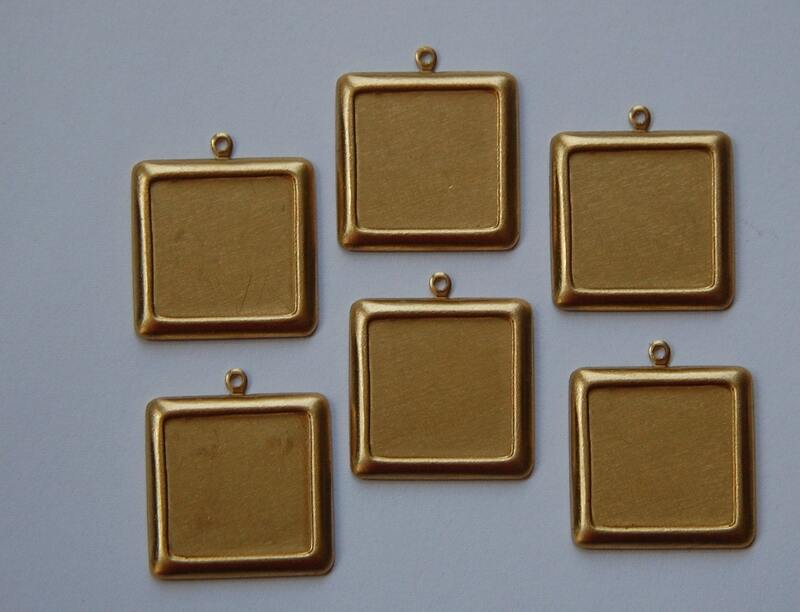 These are raw brass setting with a rolled edge and top loop. These measure 15mm in the setting area. You will receive 6 pieces. Great seller, great items. Will buy again! These are great. I just realized how little time it took between each of the three recent orders from y'all to arrive. I can't stress this enough - this shop has the fastest shipping out there! Thanks so much ! quick service. Great product and service. Yummytreasures has very interesting finds.